The NEST at Wine & Roses only sells beauty products with proven benefits. With the Jane Iredale mineral makeup line, you’ll look good, feel good and give your skin exactly what it needs. 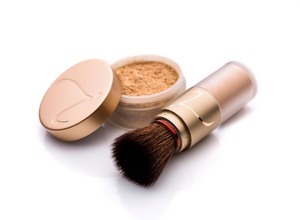 The mineral powders are a foundation, powder, concealer and sunscreen—all in one! And every product in the line is multi-functional. Location: 2505 W. Turner Road, Lodi, 209-334-6988, winerose.com/spa/the-nest.